HomeStuffsRecommended Girls und Panzer Merchandise on Amazon	No ratings yet. Girls und Panzer is one of the cutest anime series in Japan. It mix a tank battle and slice-of-life! Despite being a tank-based series, but you still could find heart-warming story line here. So, as a fan maybe this Girls und Panzer merchandise could fulfill your need! These are the best and recommended Girls und Panzer merchandise, accessories and stuff that we picked from Amazon! If you’re not familiar yet, you can read our Girls und Panzer review in review section. This Tanks kit from Girls und Panzer is an engineered for modeling enjoyment. The detail of plastic parts are really enhanced, and unprecedented value. The product itself is ready for immediate assembly. Maybe you need a paint and glue, however they are not included in package. The model is fun to build. It was a good challenge to build. The skill level to build it would be a skill 2 or skill 3. It’s very challenging to build it and it can be a pain sometimes trying to fit certian pieces, but highly recommended for fans and ambitious moddellers to work on. 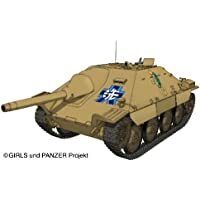 Really recommended Girls und Panzer merchandise for you. This is raelly awesome model kit by Platz. 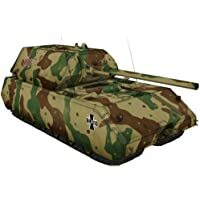 The tanks itself is really detailed and an great buy for any fans of the series, Girls und Panzer. You will find different options choices for the paint of which version you want to display. 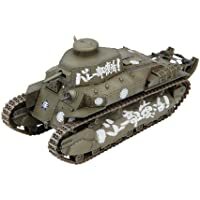 So, despite you’re not an anime fan, this good tank kit would be a great Girls und Panzer merchandise for you! Make sure you display it on your room, and you will feel different atmosphere! Make your room more unique by displaying this highly recommended merchandise! 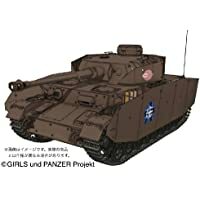 One other great tank kit for you from anime series Girls und Panzer. You must assemble it first, but it’s not as hard as you may think. It just tedious. The manual includes some images so you don’t have to worry about your Japanese language if you want to assemble it. It really has great detail. Overall, this would be a great addition to any Girls und Panzer merchandise collection. It’s gonna be a fun craft and activity! Another great collection for Girls und Panzer fans and lovers! 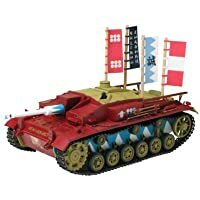 You can assemble this awesome tank kit as you wish! You need to painting it as well, so you will have a great fun time and activity. It’s a really historic vehicle and could be assembled as a Japanese type 89, even though you require decals for that. Excellent molds does a great job on this kit and was really release as a Japanese Tank sometime back at a higher price. It had a metal barrel and perhaps track links. To find it re-released as a Girls und Panzer and cheaper could be very pleasant. It’s actually an extremely wonderful kit with fantastic manual. It also contains a wonderful decal sheet. All in all, really great Girls und Panzer merchandise for you! This kit is a straightforward build, even if the instructions are in Japanese, you can easily follow the pictures. This is a relatively easy model even for the amateurs. The only complex parts are four sets of drive wheels at the bottom of the tank and connecting the treads. The model is grey in color, so those who are inclined will need to get paint. Overall, It’s very well detailed model really gives you a sense of scale when building it if you have built other 1/35 scale models. 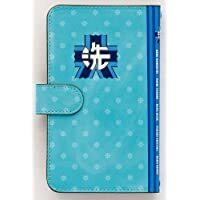 One of the best of Girls und Panzer merchandise you can get today! 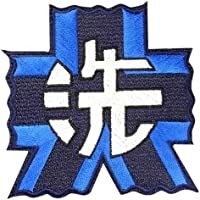 You can be part of Girls und Panzer girls by wearing this emblem. This emblem would be also perfect for your cosplay as one of the characters from the series. This is a really high quality of patch, that’s why the price itself is a little higher than a standard patch. But overall, this is a highly recommended emblem from Girls und Panzer merchandise for any cosplayers who want to try cosplaying as Girls und Panzer or just to display in your room. 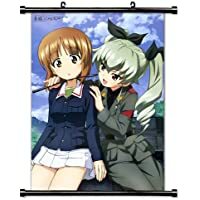 This Girls und Panzer poster is a decorative wall poster and extremely durable which better than a traditional poster you may found in out there. This poster also comes with 2 hanging hooks so you will hang it easily in the wall. The poster itself has really beautiful picture just like in the image. It’s colorful and bright, and easy to center and hang. This poster would be fit for a gift, especially for the anime series fans. This gonna be a perfect Girls und Panzer merchandise gift for anyone! 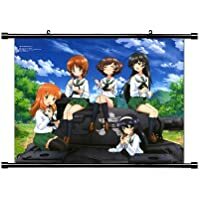 Do you want another great Girls und Panzer poster hung in your room? Than you can get thsi one! It’s a decorative wall poster and really durable! Just like the poster above, this one also includes 2 hanging hooks for you! This is actually really beautiful poster showing Anchovy and Nishizumi Miho. The pictures itself is really vibrant in colors and made of soft material. This is one other recommended Girls und Panzer merchandise poster for you! Not only can protect your phone from damage and scratch, this awesome phone case will also make your phone look so cute and stylish! Especially for anyone how love Girls und Panzer series. While the instructions do come in Japanese, which may be a turn-off for some, the process was simple enough even without instructions. All in all, this case is perfect for a good majority of anime fans. One of the greatest Girls und Panzer merchandise out there! Are you ready to get this one? 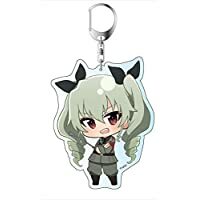 You can stop using standard keychain, and replace it with this cute Anzai Chiyomi keychain from Girls und Panzer. It will be shipped from Tokyo! The keychain itself is very adorable and I would recommend this great and cute keychain for any anime series lovers. Make sure you get this keychain if you are looking for good Girls und Panzer merchandise! It’s highly recommended for you!